The Epic Blunder at Goodfellas Distillery: Is Your Facility Embracing The Power of Customer Marketing? Back in the good old days your customers got their recommendations from friends or family. Your brother might tell you about a nice restaurant for a date or a great bar to watch a game. Back in the good old days this was good enough. Times have changed. Your customers will still get those recommendations from their brothers, sisters, friends and mothers. But those recommendations are tiny little data points on their journey to find the perfect place to take a date, watch a game, or throw a birthday for their kid. Yelp reviews, Google reviews, Facebook and Instagram are all influential platforms in the decision making process of your customers. 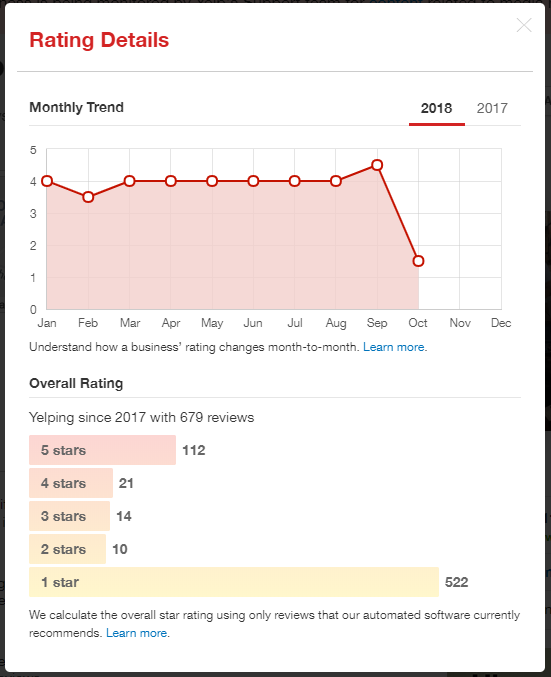 You can practically guarantee that they will check your reviews on at least one of these platforms before making a buying decision. This is why it's so important for you and your staff to create a great customer experience so that people will leave positive reviews. Additionally, it's important to have awareness of how people want to leave those reviews. Consider this disaster yesterday from Goodfellas Pizza in Lexington, Kentucky. 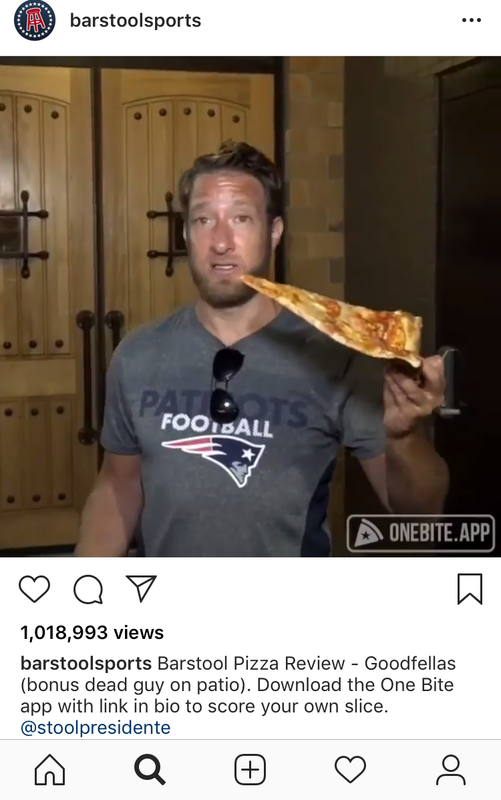 A man named Dave Portnoy was standing on their patio filming himself eating a slice of Goodfellas pizza. A staff member appears, asks if they have permission to film, and then asks them to leave. 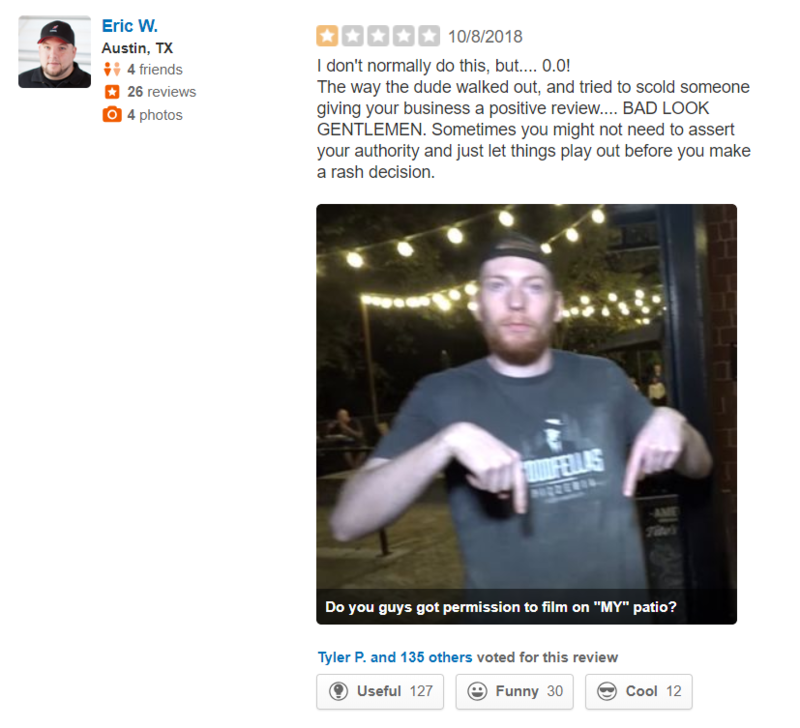 What the staff member did not realize is that Dave Portnoy is also the Founder of Barstool Sports, the owner of a pizza app, and the face of a nationally famous internet show called Davey Pageviews Pizza Reviews. That episode aired on October 8th, 2018. On the morning of October 9th the episode has over 1 million views on Instagram! 1. Customer Marketing begins with providing a great customer experience. Chances are, this is already one of your goals so you probably don't need to make any adjustments here. Just make sure your staff is aware that their customer service is important and they will be reviewed online. This is obviously easier said than done. Especially knowing that there will be difficult customers from time to time. Appeal to the empathy of your staff. Train them to understand that you never know what someone has going on in their life. It's best to always be patient and kind. 2. 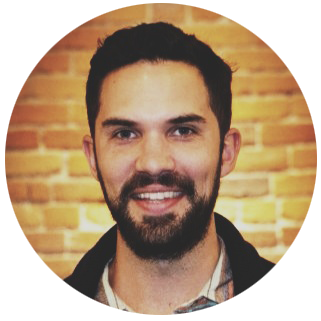 Proactively curate Customer Marketing opportunities. This means creating specific hashtags that people can apply to their social media posts. You should curate an area in your facility where selfies and, um, regular photos can be staged with the proper branding in the background. 3. Encourage your staff to engage in Customer Marketing on behalf of your company. Often times your staff members will be your best advocates. Believe it or not, they most likely have hundreds (if not thousands) of followers on social media. So give them a budget to go play in your facility and post on social media with your prescribed hashtags. 4. Consider highlighting customers in your social media and on your website. People love to see their name in print. Even if it is digital print. Make up a reason to highlight one of your customers every week or every month by publishing their testimonial on your site and by announcing their accomplishments via social media. If you tag them in your post, and they repost, then your business will be broadcast to all their friends (for free!). 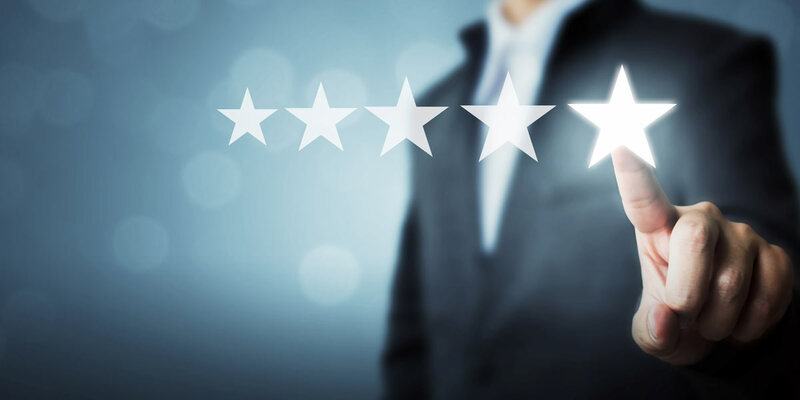 If you provide people with a great experience, make it easy for them to post about your business, and make it easy for them to find you and leave you reviews then you're on your way to a successful Customer Marketing strategy. If this is a new concept to you and you have questions please do not hesitate to reach out. We would be happy to discuss Customer Marketing best practices in more detail with each and everyone of you.